This binocular is equipped with a porro prism and wide filed of view. It is a compact design that falls in the low budget category. This compact binoculars are equipped with a BaK4-glass prisms and are multicoated lenses that allows the light to enter more and give good illumination. When I used this binocular for the firs time I was impressed how clear bright and crisp the image was. The binocular was tested on the bright sun, as well as in the sunset and in the forest area in lower light conditions. The Pentax 8x21 UCF binocular did well in this conditions. The quality of image was similar to more expensive binoculars of the same brand. For such a low price model this was a pleasant surprise. This Pentax 8x21 UCF R binoculars when folded can easily fit into a pocket or a jacket making it easy transportable. The porro prism makes it considerably shorter like lots of other binoculars in compact class. But when it is folded it comes inside a square shape so it can be a little hard to place it in pants or some smaller pocket. Its compact design makes it ideal for walking in outdoors, hiking and for bid watching, as you can place it easily. Lots of people like to carry extra things like food, maybe a book or extra jacket when going to nature. This binoculars you can hold in one hand easily when bird watching. There is a very useful strap attached to this binocular and it will easily hang around your neck and not get in your way. The binoculars are light weight because the special porro prims design and that is a plus for people that want to carry less when traveling. Kids can use it easily as well as adults or elderly people, it will not feel heavy over your neck. Design comes with ribber eyecups that feel comfortable, the eyecups are not adjustable. The focusing wheel is smooth and easy to use, you can turn it with one finger. The eye relief is 13mm and will be fine for most people. The binoculars are protected with a rubber coating that gives them a solid protection from bumps and scratches. It feels comfortable to hold in hand. You can easily hold this binocular with one hand and I like how nice it feels when you pull it up to your eyes. It is much easier to make a decent quality porro prism binocular and less expensive than a roof prims one. So if you are trying to get the same quality the roof prism is always going to be more expensive. It is just the way the binoculars are made, and porro prism design cost less to produce. That’s why this kind of binoculars can sometime win over the buyers that are with a tighter budget. The UCF's come equipped with a case, lens caps and strap. This pentax in to expensive, and because its lower price range it cannot compete with more pricy and better quality binoculars, but you get a good binoculars for the price. This is a good easy to take general purpose binocular that can be used by kids, adults and elderly people because it is light and will not take much space. You can take it to bird watching or traveling and not worry about your luggage space. It is cheap but still pretty good model. 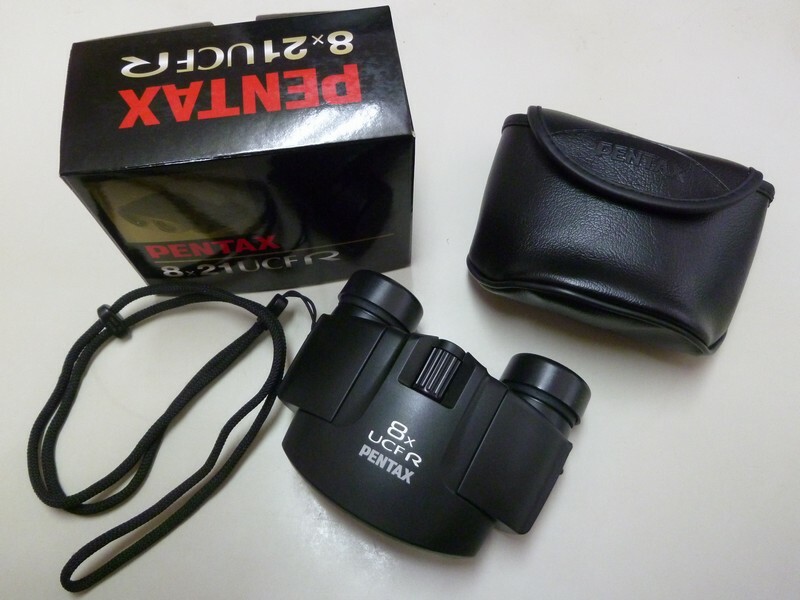 This pentax models small size makes it very good binoculars for take all the time pack easy people. Its small size will make it ideal for children, and good optics will give very bright and sharp image. Cheap but equipped with multicoated porro prism makes this model comparable to higher class binoculars on the market. 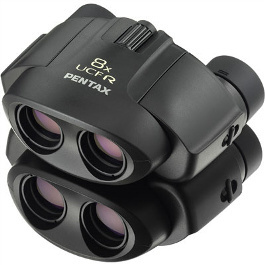 Check the price of Pentax 8x21 UCF R Binoculars here.